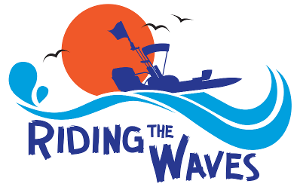 "Out And About Southwest Florida"
Solo Travel Girl Jennifer Huber Reviews Riding The Waves! Riding The Waves, LLC is ahead of schedule! Original plans to begin our tours in the Englewood, Florida, area were moved up from December 15, 2016, to December 1, 2016. Beginning on the 1st of December, we are offering two eco tours to choose from each day. We would like to thank our vendors for their support in expediting our deliveries over the past couple of months. In addition, we want to recognize our tours manager, Rachel Wells, for her excellent leadership skills and diligence during the process of setting up our facility and getting it ready for your visit. Riding The Waves, LLC is proud to announce its participation in this year's Ecofest, Waterfest, and Racefest being held in Englewood, Florida. Ecofest will be taking place on October 29, 2016, at the Lemon Bay Park, where Riding The Waves will be displaying the personal power catamarans that they will be launching in December to provide our new and exciting eco and fishing tours in the Englewood area. We will also be exhibiting on Dearborn Street during the Waterfest race weekend festivities, which will be held November 18-20. Stop by our booths at both events to say hello and sign up for one of our upcoming power catamaran tours coming in December!